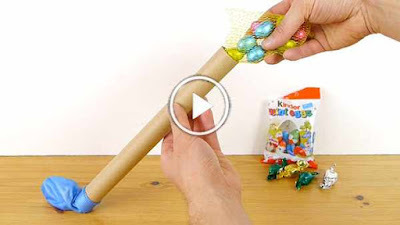 How to make colorful Easter eggs out of string, using a balloon, string and glue. It’s a fun, messy, and easy DIY craft, which means it’s perfect for kids to make, too. These awesome “Egg Surprises” have little treats inside, too. You can pop anything into the middle, like chocolate eggs, toys or party favors.